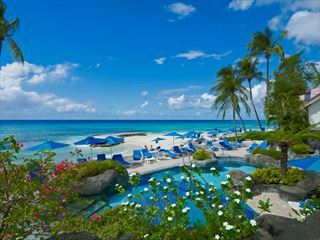 The Coral Mist and Blue Orchid hotels are sister hotels set by 300m stretch of stunning beach. Our favourite feature of these hotels is the location; it’s a short journey from St Lawrence Gap where you’ll find a selection of fine bars and restaurants and some of the liveliest nightlife in Barbados. This distance means it is easy to find the party atmosphere when you’re feeling lively, and just as easy to escape back to your hotel when you want to relax. The rooms themselves are quite basic and functional – but still very comfortable. The kitchenette facilities make it is easy to sling together an evening meal if you fancy something light and with the hotel being located close to a supermarket, catering for yourself is no hassle at all. But don’t forget that St Lawrence Gap is famous for its restaurants, so we think you’ll love dining out while you’re here. 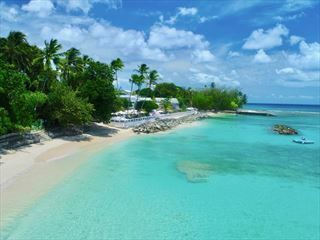 The hotels also have easy access to the beach - lounging here in the sun really is what Caribbean holidays are all about. Top Tip: The hotels have an arrangement with the local supermarket which means that you can request some groceries to be delivered ahead of your arrival. The hotel staff will unpack your shopping for you too – it’s pretty fantastic to turn up at your hotel to find cold beers in the fridge.